The Swedish-Norwegian Foundation for Equine Research was established in 2004, based on contributions from the Swedish equine and agricultural industries. The Swedish Research Council Formas has provided co-funding since 2006. During 2009 funding increased due to the addition of contributions from the Norwegian equine industry and the Norwegian Research Council for research funding. In conjunction with this the name of the foundation was changed to the Swedish-Norwegian Foundation for Equine Research. 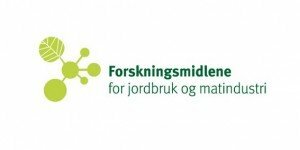 The foundation administers approximately 20 million Swedish and Norwegian kronor annually for the funding of research projects. The foundation is based on the tenet that at the same time as the number of horses in Sweden and Norway has increased considerably, the use and function of horses in society has changed towards a more recreational – even rehabilitational – focus and more urbanised status, including the horse as a prerequisite for sports and competition. This provides new business opportunities, but may also cause new welfare problems and environmental conflicts. The main purpose of the foundation is to contribute to creating value for horses, for the equine industry and for humans and society; to increase the understanding and profile of the role of the horse in society; and to improve the health and welfare of horses and humans. In addition the research should contribute to identifying new business areas in the horse industry and in horse based agriculture. The research funded should therefore be applied research of very high scientific quality that can contribute to the previously named goals. One of the strategic goals of the foundation is to support the Nordic equine industry in its endeavours to become world leading – initially by joint collaboration between Sweden and Norway and subsequently also by the participation of other three Nordic countries in the world leading Nordic equine research collaboration entitled ‘Nordisk hästforskning – ledande i världen’. In addition, data for all projects – a summary of the application, a summary of the results and the final research project report for each granted application – can be accessed via this website (mostly in Swedish or Norwegian). In 2011 the board of the Swedish-Norwegian Foundation for Equine Research commissioned the Swedish Research Council for Environment, Agricultural Sciences and Spatial Planning (Formas) to review the research funded by the the foundation. In general the panel found the research funded to be of high scientific quality, high relevance and in most cases also well disseminated.